These are all Grenadilla instruments designed with the know-how gained through years of experience crafting professional level instruments. The YCL-450NM additionally features our “Duet+” treatment applied to the instrument bore. Yamaha clarinets have achieved sound quality and superb intonation by dramatically improving precision and stability. Also to cope with various quality issues inherent in wooden instruments. Duet+ models employ innovative techniques to form a protective layer next to the air column. The combination of precious wood and state-of-the-art resin is not simply a “Duet” of tradition and technology – it’s a “Plus” advantage indeed.This innovative technology, which premiered with our oboes, has been brought to the clarinet after extensive engineering specific to the instrument. The upper joint body is drilled out slightly larger around the bore and tone-holes. Thermoplastic ABS resin is injected into the cavity, instantly forming the inner shape of a clarinet. 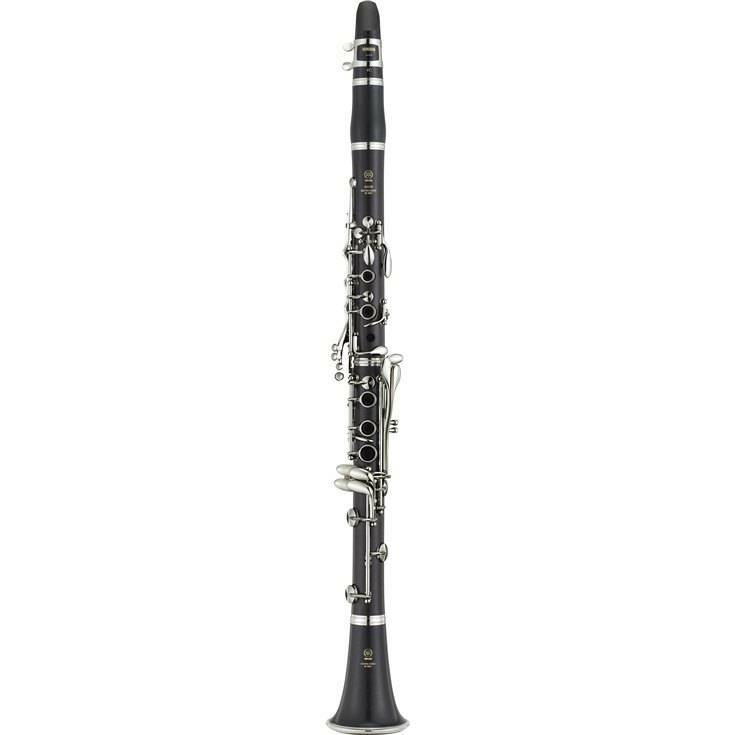 It is designed to preserve as much virtue of traditional clarinets as possible, while its natural appearance is hardly distinguishable from conventional all-wooden models. The nickel-plated keys provide a more clear and focused tone. Also, they provide a good alternative for people who have an allergic reaction to silver-plating. In order for the keys to have an appropriate amount of strength, a technique called power forging is used. The results of this hi-tech process are keys that are exceptionally durable and contoured to the best possible ergonomic shape. The YCL-450NM incorporates the same taper screws as YCL-650 that makes adjustments easier than ever. A new register vent tube shape improves pronunciation in the second register. Whereas the YCL-450 needs sufficient air pressure for good response, the YCL-450NM offers great response, even with low air pressure, making it easy to play even for children. Valentino pads offer a clear dark tone, light resistance and quick response that make it easy to obtain good tone and comfortable playability even for beginners. Compared to normal pads, they are harder to tear, offer superior stability due to changes in humidity, are highly durable, and easy to maintain. Valentino pads are used by both solo, orchestral, and jazz musicians around the globe, and have been praised for their excellence by all.